DJ Nick Nino, once known as DJ Lil Kid, started his career as a DJ 5 years ago. 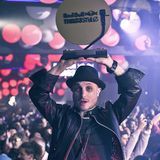 He started by practicing with his brother, DJ Nurotic. He then moved on to mixing at hall parties, house parties, as well as private gigs. He worked his way up to bigger venues. He wanted to make sure that he earned his spot in the Dj world. Nick continued working on his craft by making mixtapes, creating mash ups, and producing a couple of tracks. Today, Nick Nino is hosting his own internet mixshow on www.1inamillionxm.com every Tuesday from 7-9PM (CST). He also been asked to mix live on various other internet show as well as Vocalo.org/ 89.5FM Chicago. 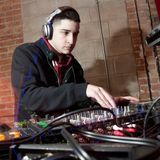 Nick has been mixing at a wide variety of clubs in Chicago and other cities. He does not limit his talent to one genre, which gives him a wider fan base. Even though he is well accomplished, this far in his career, he is always trying to figure out ways to better himself.